A lovely way to spend a couple of hours. Pottery parties are available for children over 10 years old and adults. Family sessions are also available and younger children are permitted on these sessions. 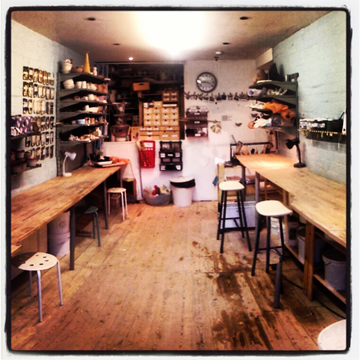 If you fancy more of a special one off session, you could hire the pottery studio for a private booking. There are several sessions available and the studio is available to hire daytimes and weekends but usually not weekday evenings as this is reserved for the regular pottery classes. Please email to enquire about private bookings. If you leave a contact number Charlotte will call you back as soon as she can. Pottery hen-do's are become increasing popular. These sessions can be tailored to the bride to be.